Spike’s improv, standup and fortune 500 experience create highly interactive, entertaining presentations, elevating his unique message and making him one of the elite speakers in the country. His inventive approach embodies the fluid nature of the business landscape in 2019 and moves the needle on engagement and participation to hilarious highs. Whether it’s a high energy kickoff for your conference, or the featured keynote, Spike has several engaging and entertaining presentations from Team Building to Work-Life Balance to The MIllenial Gap Challenge, to name just a few. 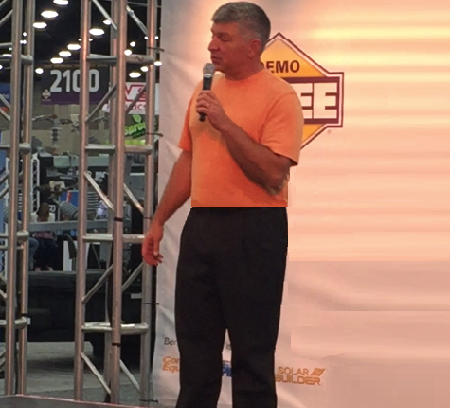 A veteran of all the major trade shows from CES to ICCUE, Spike’s professional, high energy presence will capture attention and make your stage, your product and your company standout in the crowd. Spike is the ultimate host for any event, from an awards banquet to an annual celebration. He also has the unique ability to hilariously and appropriately roast that special someone being celebrated at that special celebration.